An RV deep cycle battery is one of the most important components in the electrical system of your RV. 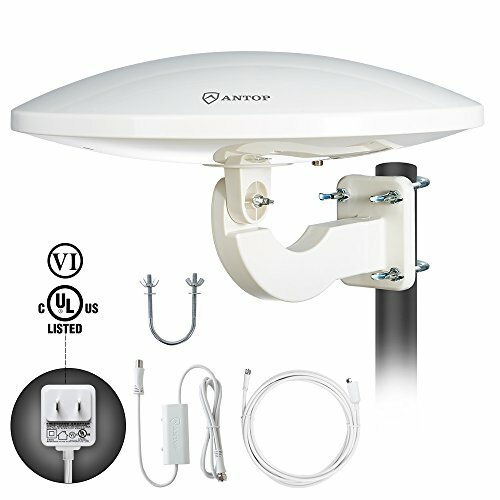 It allows you to use your appliances and devices off-grid without a 110V power supply. It will also enable you to store energy coming from solar panels. Whether you’re building an RV power bank for the first time or are looking to enhance the capacity of your existing battery pack, we’ve reviewed the five best RV deep cycle batteries. We’ll go over the details of of the top RV batteries and their individual advantages and disadvantages after our top selections. 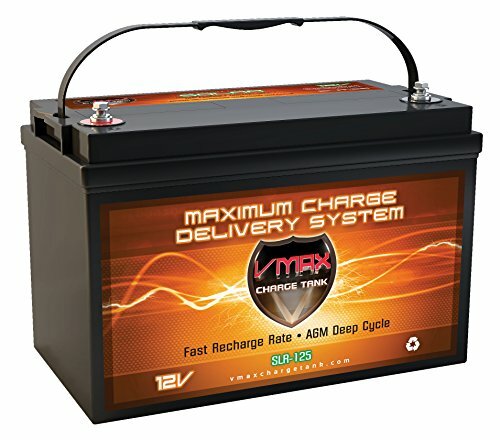 The Vmax Vmaxtanks SLR125 is a 12V AGM deep cycle battery with a capacity of 125Ah. It is robust, maintenance free and comes with a long life expectancy. It’s ideal for RV use and our editor’s choice for the best RV deep cycle battery. Constructed from military custom-made plates with heavy duty tin alloy grids, the battery has an extra margin of performance. Even with 100% discharge depth, you can expect an average of 300 cycles and more than 3,500 cycles with a depth of discharge of 10%. The sealed construction guarantees leak-proof, non-spill operation in any position without loss of capacity or service life. The battery is valve regulated to avoid excessive gas accumulation inside, yet more than 99% of gas is recombined. With a low self discharge rate of only 1% to 2% per month at room temperature, the Vmax SLR125 outperforms other AGM and lead-acid batteries. You can operate this battery at a broad temperature range of -4°F to 140°F for discharging and storage and ideally between 14°F and 140°F for charging. Apart from temperature resistance, the battery is also able to handle vibrations well. For charging, any high-quality AGM charge controller or smart charger will do that can provide the recommended current and voltage. If you’re looking for a reliable deep cycle battery for your RV or battery bank, you can’t go wrong with the Vmax Vmaxtanks SLR125. It’s sturdy and maintenance free and has great charging and discharging capabilities. You’ll get maximum value at a great price. The Renogy Lithium-Iron Phosphate Battery is our top choice for a Lithium-ion model. Admittedly, it comes at a premium price, but it lasts 10x longer than a regular wet lead-acid deep cycle model. You’ll also benefit from the reduced weight, zero required maintenance and fast charging. The Renology is a 12V 100Ah deep cycle battery with a built-in battery protection system. Not only does this protect the cell for thousands of cycles, it also keeps it running at peak performance. With overcharge and over-discharge protection as well as short circuit protection and an internal cell fuse, this model is truly plug’n’play. The robust build features fire retardant additives and an explosion proof stainless steel cell case. Even with repeated 100% depth of discharge, you won’t destroy this battery and can make use of its full capacity if need be. It operates at a discharge temperature of -4°F to 140°F and a charge temperature of 32°F to 113°F. 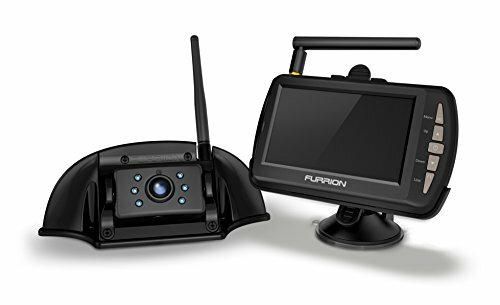 It is compatible with a wide array of charge controllers and smart chargers. The low weight and compact build make it great for building a power bank with several batteries in parallel. It’s also a great drop-in replacement for exchanging old flooded, AGM or gel batteries. If you afford the extra money to go with a Lithium Ion, this is the best RV battery. 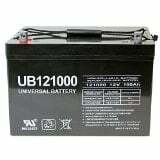 The Universal Power Group UB121000-45678 is a 12V and 100Ah deep cycle battery. It performs well in motorhome use with a consistent delivery of power and a low self-discharge of less than 3% per month. It’s sufficient for storing energy or maintenance free deep cycle discharging thanks to an AGM design. The battery is sealed and therefore leaks or spillage are no issues. You can operate it in any position without impairing capability. The thick plastic body is acid-proof and robust and able to resist shock and vibration as well as normal weather conditions. The overall life expectancy of this battery is three to five years. 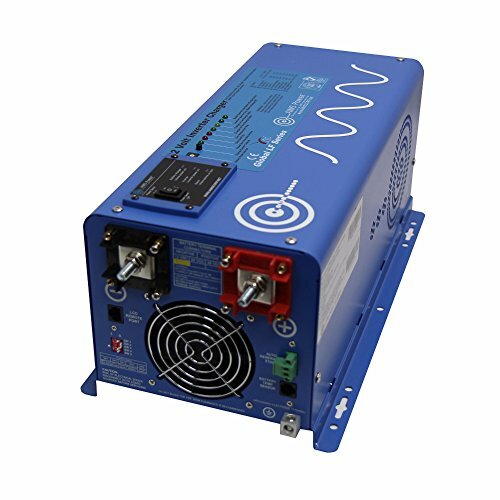 As for depth of discharge, you can expect about 200 cycles if you fully discharge the battery’s capacity or 500 cycles with a 50% discharge. With an average discharge of 30%, the number goes up to more than 1,200 cycles. Operating temperatures range from 5°F to 113°F for discharging and 32°F to 104°F for charging while you can store the battery at 5°F to 104°F. The UB121000 model is a reliable AGM deep cycle battery available at a great price. It is perfectly adequate for RV use and building a power bank. The Battle Born 100Ah Lithium-ion battery is the lightest motorhome deep cycle battery in our selection. Compared to a regular lead-acid battery, it’ll last about 10 times longer at less than a fourth of the weight. LiFeP04 lithium-ion batteries are safe, strong and great for UV use. This model is made in Nevada in the US. You’ll get an amazing depth of discharge: even after 3,000 cycles of up to 100% discharge, the battery will only go down to around 80% of its initial storage capacity. Overall, the expected lifespan is between 3,000 and 5,000 cycles. Thanks to Lithium-ion technology, storage and operation are maintenance free with no spillage nor hydrogen gas generated. This battery can hold a charge for up to one year without trickle or load charging. With faster charging and longer, more reliable power delivery, the lifetime cost per Ampere hour is lower with this battery compared to a regular lead-acid one. 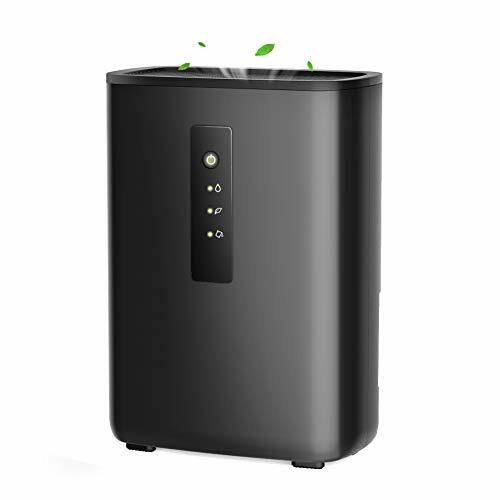 The battery comes with short circuit protection as well as high/low voltage and temperature safety and automatic cell balancing. 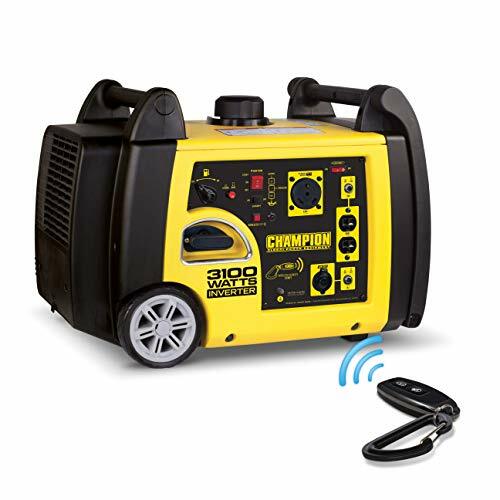 You can charge with an existing lead-acid charger, though it will take longer. A smart charger with a profile for lithium-ion batteries is recommended for fastest charging. The Battle Born 100Ah deep cycle battery gives you the advantages of lithium-ion for a great price and is the best RV house battery. It is a superb option for replacing existing batteries or building a high-performance power bank from scratch. The WindyNation BattaMax 12V deep cycle battery is another AGM variant that is perfectly suited for RV use or solar charging. The lead-acid battery is completely sealed and will not leak, spill or emit dangerous fumes. 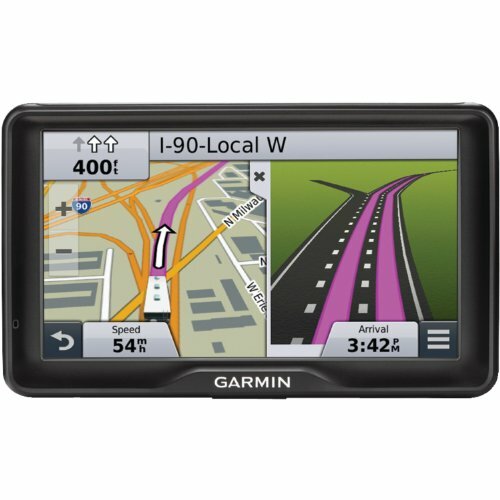 It is housed in sturdy ABS plastic and requires no maintenance. Self-discharge is kept to a minimum with the use of 99.995% pure lead. The high performance of the battery is matched by extreme longevity. Since you receive great value at a competitive price, this model is good for building a bank of several batteries in parallel for enhanced capacity. Therefore you can for example reach 400Ah at the cost of a single Lithium-ion battery. Operational temperature for BattaMax units is 5°F to 122°F for discharging and 32°F to 104°F for charging. You should ideally store this battery at 5°F to 104°F. 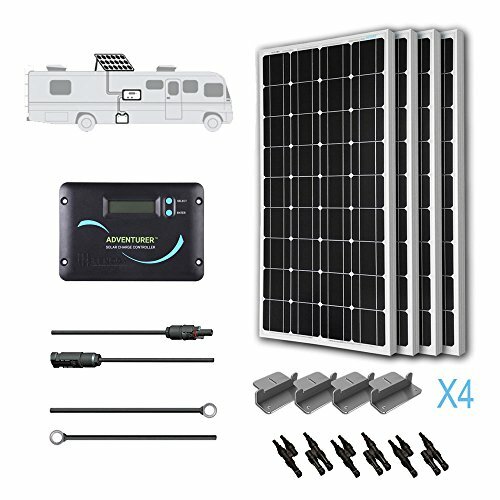 WindyNation delivers this battery with all its complete RV Solar Kits that include a battery and it’s a trustworthy and reliable power source for all sorts of off-grid applications. RV deep cycle batteries are designed to deliver a steady amount of current over a longer period of time so you can use electric devices in your vehicle. Their cost varies with different ways to construct the battery, and each type of battery has its own features. We’ll explain the advantages and disadvantages of various deep cycle batteries and list other aspects you need to consider to make the right choice. Deep cycle batteries are lead-acid batteries that you can deeply discharge on a regular basis. Compared to a starter battery, this is achieved by using thicker plates which are able to withstand corrosion. There are flooded lead-acid (FLA) batteries and valve-regulated lead-acid VRLA batteries, also called sealed lead-acid batteries (SLA). These two categories are also called wet and dry, respectively. VRLA models can further be divided into absorbed glass mat (AGM) and gel ones. A third type of battery are the lithium-ion models. In this battery, plates are completely submerged in an electrolyte fluid. They release gases (hydrogen and oxygen) during charging and therefore require venting. As an advantage, they have a long life with proper care and are the cheapest type of deep cycle battery. Disadvantages are the dangers of spillage or gas buildup, the need for operation in an upright position and regular maintenance. Absorbed glass mat batteries are sealed and therefore vent nearly zero gas. The electrolyte is contained (absorbed) in fiberglas mats. Therefore no spillage can occur and no maintenance is required. This type of battery is better for storage than wet batteries and also charges very quickly. AGM batteries can be operated in any position and resist low temperatures better. Their weak point is sensitivity to overcharging, so you need a charge controller that can handle this type of battery. This technology predates AGM batteries. In a gel battery, the electrolyte is basically mixed with silica to form a gel. They can’t spill and are sealed just like AGM batteries, but they charge much slower and are very specific in the proper charge required. Your charge controller needs to be compatible with gel batteries. If you can choose between a gel and an AGM model, there is no reason to opt for a gel battery. This type of battery offers high performance, low weight and efficient charging. Lithium-ion batteries are among the most expensive models, however. They can operate well at both low and high temperatures and can be mounted in any way. These batteries use Lithium iron phosphate (LiFePO4), which is safe and maintenance free and comes with a long life cycle. They deliver a constant discharge volume and are fast to charge. The capacity of a battery is rated in Ampere hours (Ah). It determines how much current the battery can deliver over time: a 100Ah model can put out 100A for one hour, or 1A for 100 hours. A higher capacity means the battery can serve longer and store more power. In other words, more is better, but it comes at the cost of size and weight: you’ll need room to store batteries in your RV. Calculate your energy needs and allow for a little extra. Figure out how much power you’ll use in a day, then make sure your batteries can deliver that without falling below 60% or 50% of their total capacity. 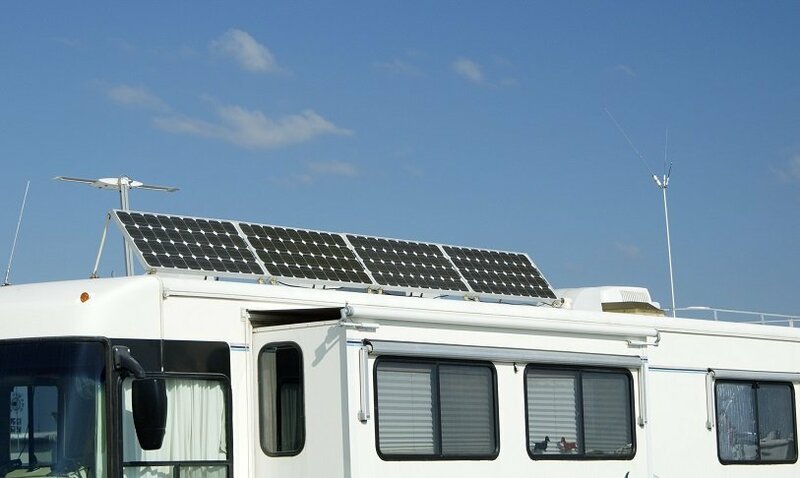 Ideally, you can recharge what you use either through solar power, a generator or an electrical hook-up in a park or campground. If you’ll be off-grid for days with no possibility of recharging, your batteries need to be able to deliver the power needed without depleting. This is normally expressed in percent and indicated the how much a battery has been discharged. For lead-acid batteries, there is a correlation between the depth of discharge and the battery life cycle. As a rule of thumb, the deeper your individual cycles are, the less overall cycles the battery will give. The recommended depth of discharge for deep cycle batteries therefore is a value that when followed optimizes the life cycle. Voltage is the electric potential difference. A typical voltage for starter as well as deep cycle batteries is 12V DC (direct current). Some people combine 6V batteries (by wiring in series) to build 12V batteries for RV use. 12V batteries will serve you well for most use, but pay attention to what your existing system uses. Solar kits and other chargers can also work with 24V batteries. A power inverter to convert DC to AC current needs to fit your battery. You’ll also have to consider how you’ll charge your batteries: with shore power, solar or a generator. You can combine all three, of course, but if you don’t have one already, you’ll need a charge controller or smart charger. This device will use a charging profile based on the type of battery you have to deliver the right charge at the right time. It automatically adjusts current and voltage to protect your battery, no matter if the power comes from an outlet, a generator or solar panels. Q: What is the difference between a deep cycle battery and a car battery? A: A car battery or engine battery is designed to deliver a quick burst of intense energy to start an engine. They have a high rate of Cold Cranking Amps (CCA), meaning they provide an initial high current. Once the engine is running, they are not discharged further. By contrast, think of a deep cycle battery as a “house” battery for your RV that will provide power for your daily needs. It’s designed to allow for a higher discharge (a deep cycle) before it needs to be charged again. This kind of battery can typically discharge 40% to 50% of its power, whereas this would permanently damage an engine starting battery. Q: Can I start an engine with a deep cycle battery? A: As a rule of thumb: you should not use a car or engine battery for anything else than delivering cold cranking amps, that is start a vehicle. A deep cycle battery delivers less cranking amps, but it might be powerful enough to deliver sufficient current for a particular engine. If the deep cycle battery is adequate, it’s fine to start an engine with it. But note that deep cycle batteries are not intended for that use. Due to their higher price, you’d be kind of wasting the battery. Q: Do I need more than one battery? A: That depends on your energy consumption and the installation you already have in your RV or the power bank you want to build. The more appliances and devices you will use at the same time, the higher your consumption. Or if you have a lot of solar power coming in, the higher your storage capacity needs to be. Battery capacity is rated in Ampere hours (Ah). By wiring batteries in series, you can increase the voltage if needed. Wiring batteries together in parallel will increase the capacity by adding the Ampere hours while the voltage stays the same. This way, you can build a power bank. Four 100Ah 12V batteries have the same capacity as two 200Ah 12V batteries in a parallel installation: 400Ah. For parallel wiring, all batteries should be identical. Q: How do I calculate my energy needs? A: Do an audit of the appliances and devices in your RV and look at how much current (Ampere) they pull individually. Do a tally of how long you will run them per day to arrive at a total of Ampere hours you require per day. Keep in mind that your deep cycle battery delivers 12V DC (direct current) – most consumption will be at 110V AC (alternating current). To convert AC Ampere to DC, multiply by ten. As an example, let’s assume you have a TV that pulls 7A DC, lights that pull 3A DC and miscellaneous devices that pull 10A DC together. Two hours of TV amount to 14Ah, three hours of lights amount to 9Ah and one and a half hour of devices to 15Ah. That’s a daily total of 38Ah. If you have a battery bank of 600Ah and you don’t want to deplete its capacity beyond 50% (300Ah), you could go a little more than seven and half days off-grid in our example before you’d have to recharge your batteries. A: Most likely, yes. To just replace a battery in your RV, chances are you won’t need anything else. But for building a battery bank, the very least you’ll need are battery connecting cables. Depending on your existing rig, you might need cables to connect your batteries to a charge controller, for example for solar charging. Running 110V AC appliances of a 12V deep cycle battery requires a power inverter to convert direct current to alternating current. Q: How do I store deep cycle batteries? A: Since there are different types of batteries, always follow the manufacturer’s instructions regarding handling, care and storing of batteries. Flood/Wet batteries should be used and stored upright with at least some ventilation. AGM or gel deep cycle batteries can be stored and used both upright and lying down without any loss or damage. Although they vent a minimum amount of gas, you should not enclose them fully for safety reasons. Temperature will affect your batteries, especially when not in use. Lower temperatures decrease capacity, higher temperatures will increase it. For battery life, the inverse is true. A partially discharged battery can freeze, but a fully charged one will not. If you cannot maintain charge in freezing temperatures, disconnect the battery and store it at above freezing temperatures. Q: Is there any battery maintenance required? A: Activity (cycling through discharges and charges) is better for batteries than inactivity. Keep them charged. In a solar installation, a charge controller with smart charging (such as pulse width modulation) will trickle charge batteries to keep them fully charged. You might want to get a battery monitor for your RV battery bank to be able to check levels easily. Corrosion on the battery outside can be treated with a spray: put a spoon of baking soda into a cup of water. Let the discharge bubble away, then wipe the battery clean and dry. AGM technology has largely replaced gel deep cycle batteries, so your choices basically come down to Lithium-ion and absorbed glass mat models. If you can invest a little more, a Lithium-ion battery has the benefit of lower weight, great reliability and amazing depth of discharge rates as well as faster charging. If you opt for AGM models, all three choices in our selection are maintenance free as well and have a superior performance and life expectancy over regular lead-acid models. 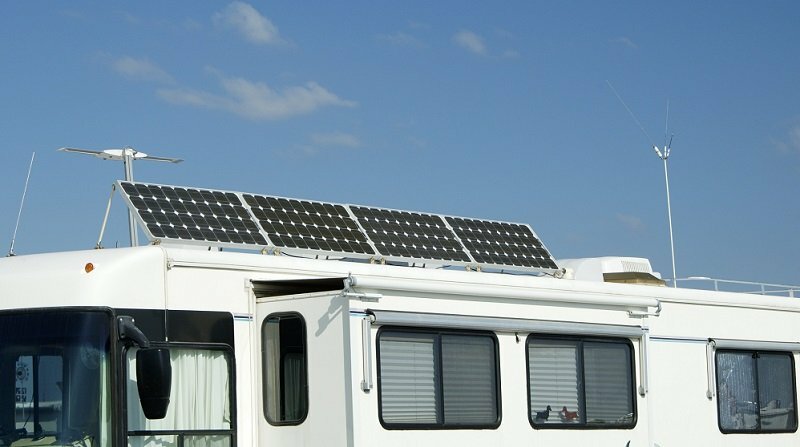 Use our guide to determine what best suits your need and assess your energy consumption to build a battery bank of sufficient capacity for your RV or motorhome. I hope this guide was helpful for finding the best RV deep cycle battery to fit your needs. If you want to comment or recommend a battery I didn’t include, please use my contact form to get in touch. The Renogy model says 100ah in the specs, but 150ah in the text: “The LiT100 is a 12V 150Ah deep cycle battery.” Is ‘LiT100’ the model number of the battery being reviewed or a different model? Either way it is hard to understand the review. Thanks for bringing that to my attention. Renogy changed the battery model and specs, I missed changing that part of the review. Sorry for the confusion!